The generator, developed by sailors for sailors, is characterized by a particularly high performance, even at low wind speeds. It is suitable for all climates. The generator, developed by sailors for sailors, is characterized by a particularly high performance, even at low wind speeds. It is suitable for all climates. 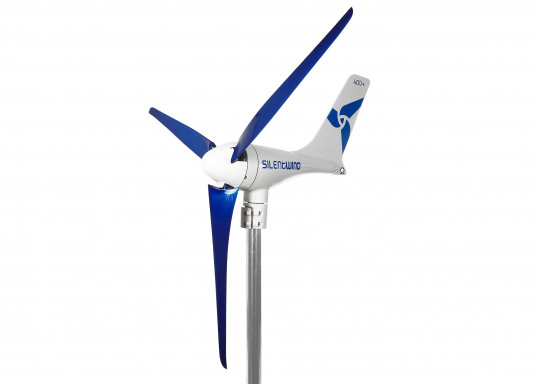 The stable stable orientation even in heavy seas, the high quality, sealed, marine grade bearings and the silent blades makes it a wind generator that impresses and is well recognised on the market. It produces an extemely los noise, whatever the wind speed. 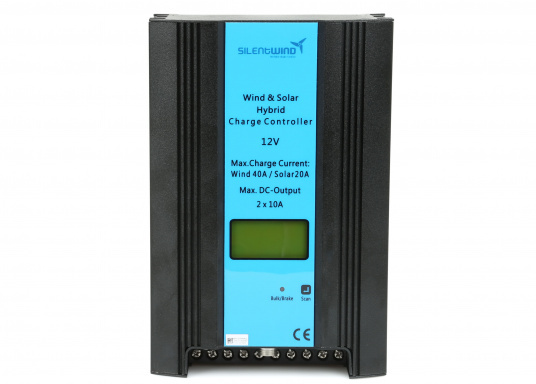 The hybrid boost multi-stage charge regulator with bluetooth interface (Antroid and iOS compatible) is included. It offers the possibility to connect an additional solar capacity of max. 240 Watts (Wp). The energy consumption is only 20 mA. The regulator can charge AGM, gel, wet and lithium batteries. A large, backlit LCD display indicates all relevant information. 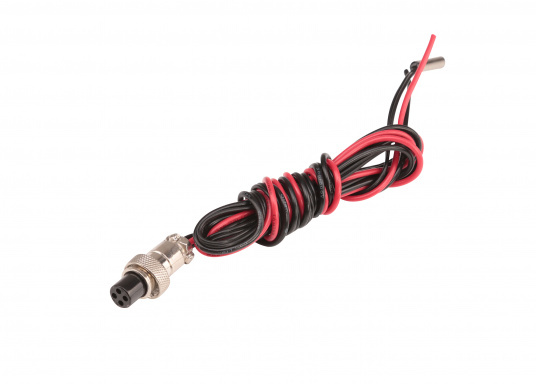 A cable to connect an external stop switch is included, a LED indicates, among other things the the stop function. Automatically switching load output, max. 2 x 10 amps. 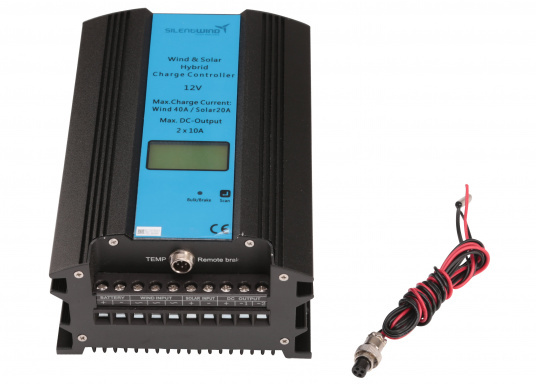 MPP control does make little sense from a technical point of view for small wind generators. 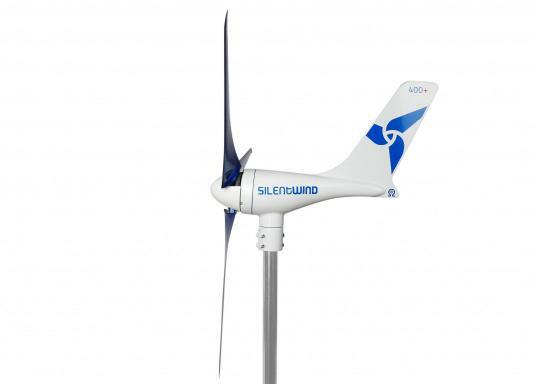 But an adjustable boost function makes it possible to increase the charging capacity in areas with little wind. 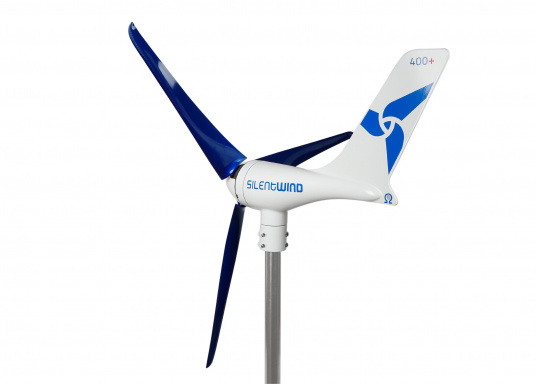 The power yield in areas with strong wind can also be optimized this way. The adjustable frequency boost affects the cogging torque in a way that for example an earlier charging start is ensured in areas with only light wind. 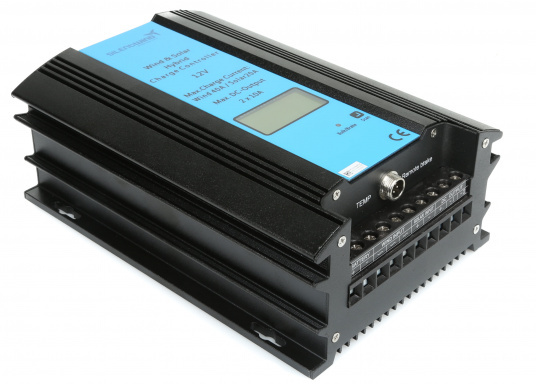 The controller has a backlit LCD display which shows all relevant data, as well as information on all the Bluetooth-enabled Android or iOS devices. 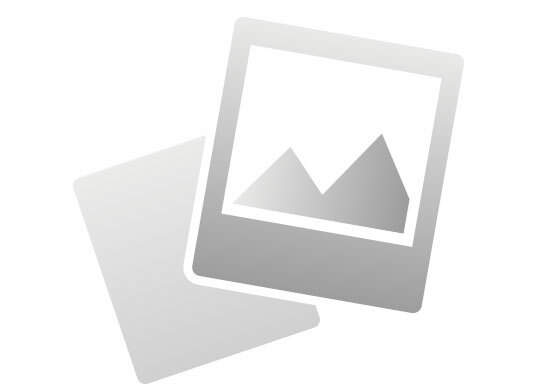 The necessary setup settings can also be made via Bluetooth interface. 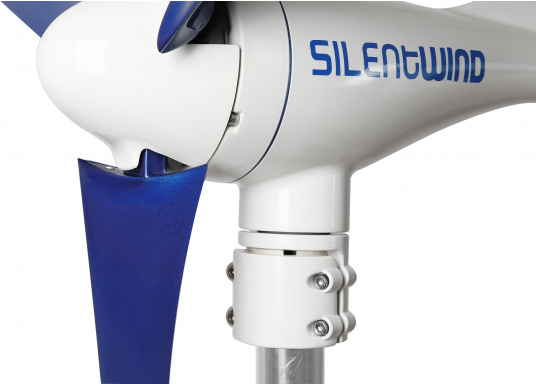 The SILENTWIND generator 400+ stops automatically when the battery is full, or rather the rotational speed is reduced significantly due to the switch to charge retention. This way only a small part of the energy is used for the battery and a self-discharge is prevented. 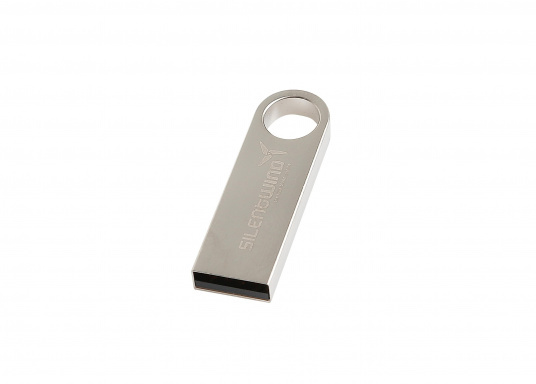 The generator can be stopped by the keyboard below the display AND by an included plug-in connection via an external stop switch. A LED confirms the active stop function. 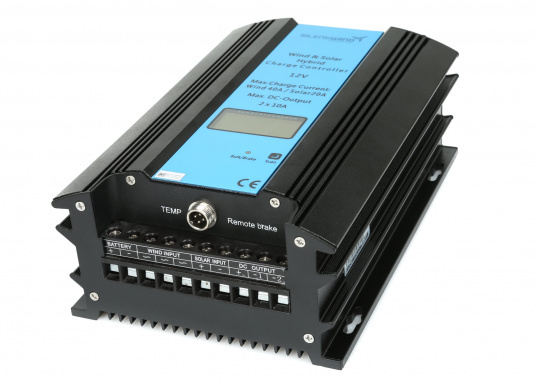 As exclusively military certified electronic components are used for the production, the controller is resistant to extreme temperatures and continues to work reliably even in the event of electromagnetic interferences (EMC) or voltage peaks in the electrical board system.